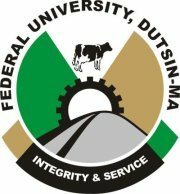 Federal University Dutsin-Ma, FUDUTSIN-MA Preliminary Studies and Remedial Programmes admission forms for 2017/2018 academic session are out. see closing date, application requirements, and procedures, ….The general public should take note of this development. Applications are invited from suitably qualified candidates for admission into the School of General and Preliminary Studies (SOGAPS) of Federal University Dutsin-Ma for the 2017/2018 Academic Session. Make SOGAPS Students familiar with the University system. Visit our application portal at sogaps.fudutsinma.edu.ng/application, locate and click Start Application at the bottom left corner of the page to start your application. Fill and submit the “Application Form“.